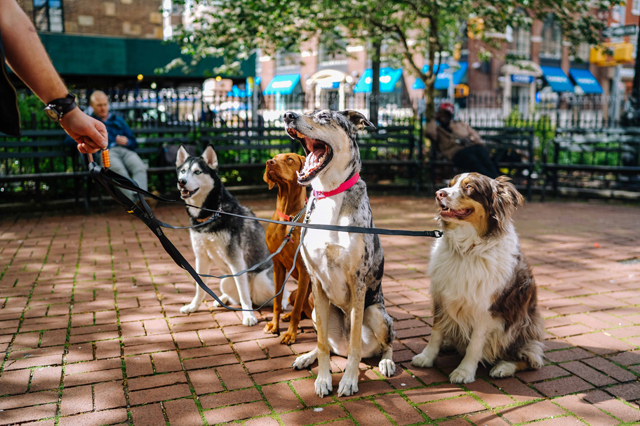 Dog walking is an option for people who are in search of self-employment. Just like any other job, dog walking also involves certain challenges. Altogether it has been considered as a job which gives you peace of mind. Before entering into the business of dog walking, one should know the scope and objectives of dog walking. You need to balance your expense and income keeping in mind that being self-employed will not guarantee you a steady income. After having a clear knowledge about the job, you can register the enterprise and start promoting it. You should create a website and set up a good customer service so as to earn trust of clients, the cornerstone of any business. You can make use of any media for advertising. Once the agreement is signed, the dog walker will be in charge of the dog. The time and route of travel can be decided by taking into account the convenience of the dog and dog walker. He should ensure the safety of the dog and that of himself. There can be several difficulties from both the dog and the client. Dog walker should handle all of them tactically in a professional way. The dog walker should keep in mind that there are chances for dog fights and should therefore take preventive measures. He should keep communicating with the client at frequent intervals. Blogging is the best option for this. The dog walker should maintain the blog regularly. Trust is the main factor which a dog walker should not lose. If it is lost, everything will be worthless. Dog walking diploma aims to make people aware of dog walking. It describes all of its steps in different chapters in detail. It is a guide for all who wish to build up a future in dog walking. Along with the basics of dog walking, the dog walking diploma explains the strategies involved in as well.